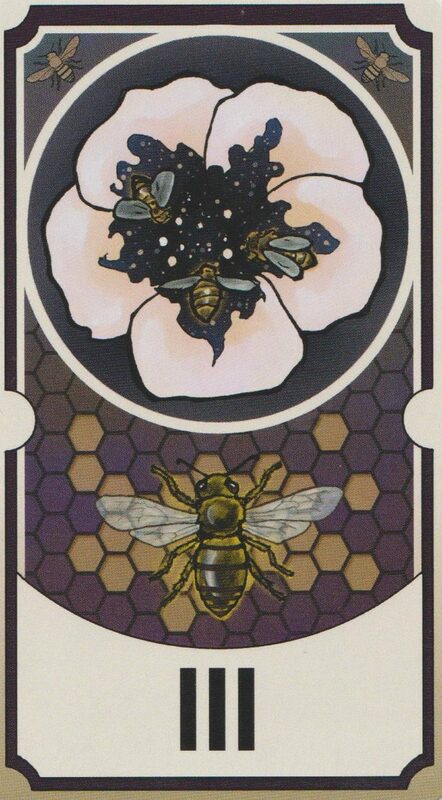 It’s the 7th week of the year and the card of the week is the 3 of Pentacles or Bees. This is where the foundation building starts. The Solar Eclipse at 1:05 PM PST on 2/15/18 and an occultation of the Moon and Mercury earlier in the day create a “father, mother and child” reminding us of the power of the trinity. This is as favorable time for pregnancy weather that means literal physical pregnancy or pregnancy of an abstract idea. We’re on the edge of big discoveries that will bring new awakenings to many people. Not only is there the energy of ground breaking revolution but by the end of the week, there will be no more planets planets in Aquarius for a while as the Moon, the Sun, Venus and Mercury all take leaps into the deep pools of psychic Pisces. The revolution is going to be a physic and psychological one. If you can’t see in the dark, you’ll learn how to shine your light. This is a time when anything you think really is possible. The number of the week is 7, a number of ineffable mysteries. Mantra: The imagination is the seat of the gods. 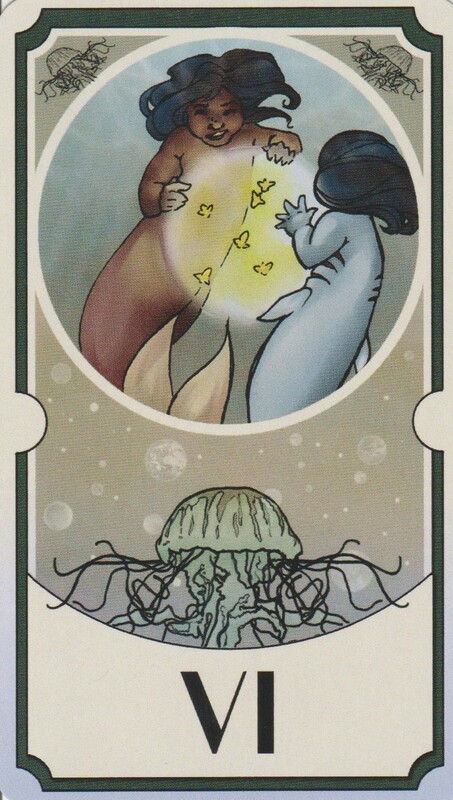 The 6 of Cups is a card of reunion with your past. This nostalgic card will take you on a much needed trip down memory lane. Moon conjunct Pluto at 11:21 AM PST could bring the rumble of thunder as the past reunion looms. Moon sextile Jupiter at 3:42 PM PST is a transit that assures that this will be a beautiful storm. Moon square Uranus at 9:43 PM PST will bring a sign that tells you what to look for next. The Moon is in the steady sign of Capricorn so although you may feel a taken by surprise, if you want to fix things, now is the time. The number of the day is 7, a number of Cosmic will. The honeymoon period is over. If the stars have faded from your eyes, it’s time to take stock of how far you’ve come. Mercury square Jupiter at 2:39 PM PST is a transit of positivity and optimism. If it seems too good to be true it probably is. Sun sextile Uranus at 6:22 PM PST assures that this will not be a boring day. With the Sun and Mercury both leaving Uranus ruled Aquarius this weekend, this current Aquarian season will go out with a bang. 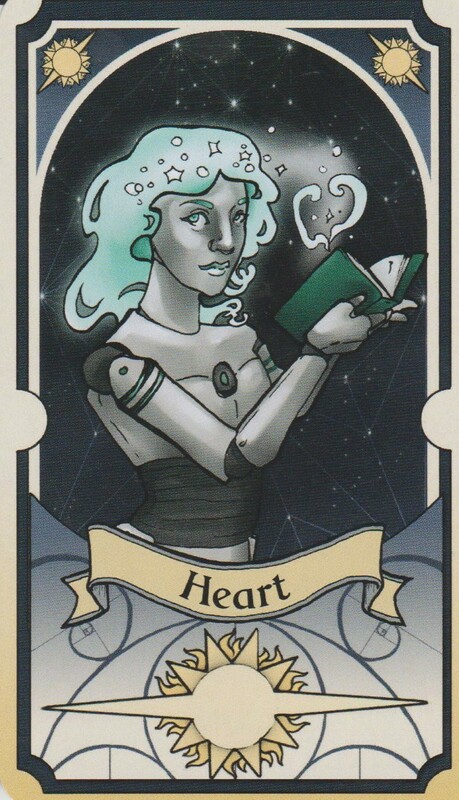 Venus is already in Pisces however will allow you to change your life from intuitively following your heart. The Moon is void of course until She enters Aquarius at 7:11 AM PST. 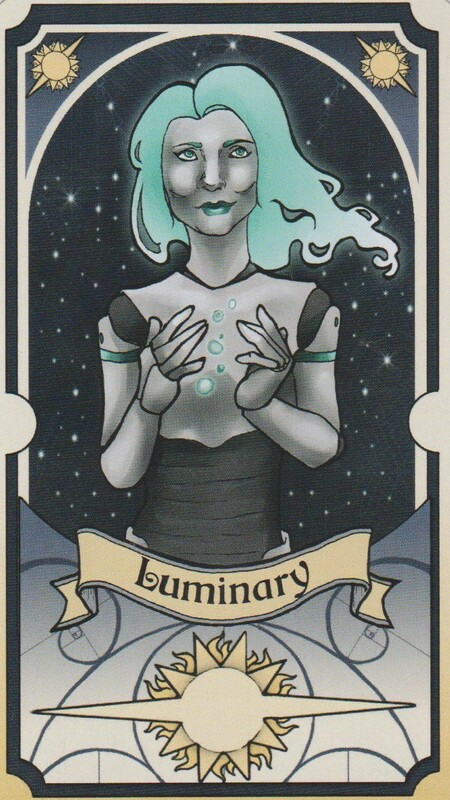 Although New Moon is just around the corner, her light will still illuminate you. The number of the day is 8, a number of karma. Mantra: You always have the chance to make tomorrow the best yesterday. 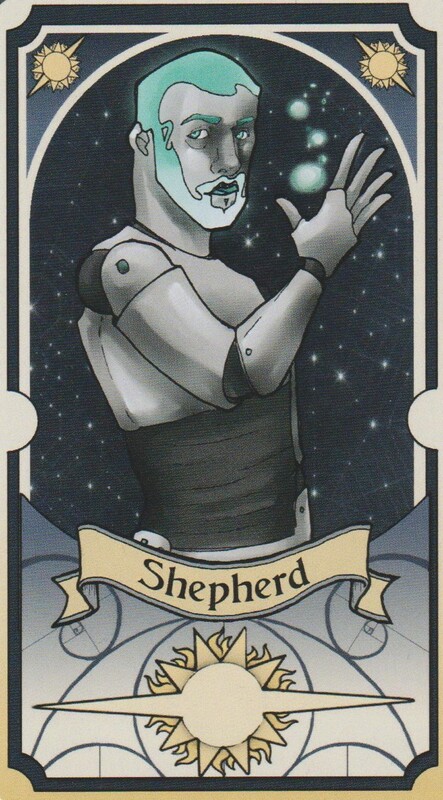 This is an interesting card for the day before a solar eclipse. This upcoming eclipse is in Aquarius so get ready for the second part to what started during the lunar eclipse in Leo. Whereas the lunar eclipse took us inward to test the strength of your light, this solar eclipse is the earthquake that follows, bringing moments darkness. Moon sextile Mars at 6:29 AM PST is the only noteworthy transit of the day. Know that your truth is true only to you. Be firm in your conviction. The Moon joins the Sun in Aquarius, gearing up for the solar eclipse tomorrow. Let the dance of destiny begin. Let’s also note that the number of the day is 9 which is the product of 3×3 and interlocking triangles of the hexagram. This is relevant because Mercury is also having an occultation with the Moon in air ruled Aquarius tomorrow. Change your mind, change your life. Mantra: Follow the light to the sound. Be thankful that this is only a partial solar eclipse in Aquarius at 1:05 PM PST because if it were a full solar eclipse, things would be even more intense than what they are now. The partial eclipse will only be visible in parts of South America and most of Antarctica but even though we’re not getting hit directly, the overtly Aquarian energy surrounding this eclipse will shake things up as if we were. The messages coming through the circuitry of the stars is telling us that we are traveling very quickly into a positive future. Despite how it may seem that the world has completely lost it, sometimes when things are falling apart, they’re really falling together. There will also be an occultation of the Moon with Mercury creating the perfect window of opportunity to change your mind and change your life. Moon square Jupiter at 4:00 AM PST is an expansive transit that will let you zoom out and focus on the big picture. Mercury sextile Uranus at 7:07 AM PST brings more revolutionary energy to the forefront. The time for change is now. There is also an occultation of Mercury and the Moon today at 10:06 AM PST bringing the power of three into play. We are also assured that we are not alone with Venus sextile Saturn at 3:19 PM PST. Venus and Saturn at 3:19 PM PST is a wonderful time to give and receive support from the seen and the unseen. The number of the day is 1(0), reminding us that every ending is a beginning, and every beginning has an end. The Moon plunges into the depths of Pisces at 6:42 PM PST, reminding us that life is a mystery. Mantra: The Moon shining during the day and the sun at night. 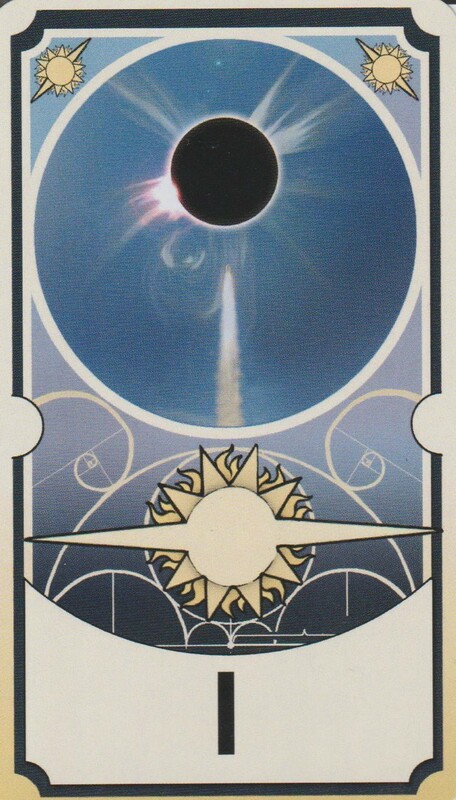 The Queen of Swords represents the power of the Moon during this eclipse season as the King of Swords represented the power of the Sun yesterday. The swords is ruled by air, which also rules Aquarius. So pay attention to how your head and your heart play together today. Moon sextile Saturn at 6:58 AM PST is a transit that will help you accept the destiny you’ve chosen. The Moon isn’t finished occulting planets yet. We have an occultation with Venus in Pisces at 8:36 AM PST playing out the feminine role of the lunar energy following the eclipse. Follow your instincts but keep your head on straight. Moon square Mars at 8:11 PM PST is a pugnacious transit but the person you will most likely be at war with is yourself. Give yourself the loving kindness you deserve. Moon conjunct Neptune at 8:32 PM PST is a transit that leaves plenty of room for day dreaming. Use this to see the unlimited possibilities. The Moon is in the dreamy sign of Pisces as well reminding us that feminine intelligence is the power of intuition. Mantra: Your mind creates your reality. The Page of Swords is the third court card to come up in the past three days. 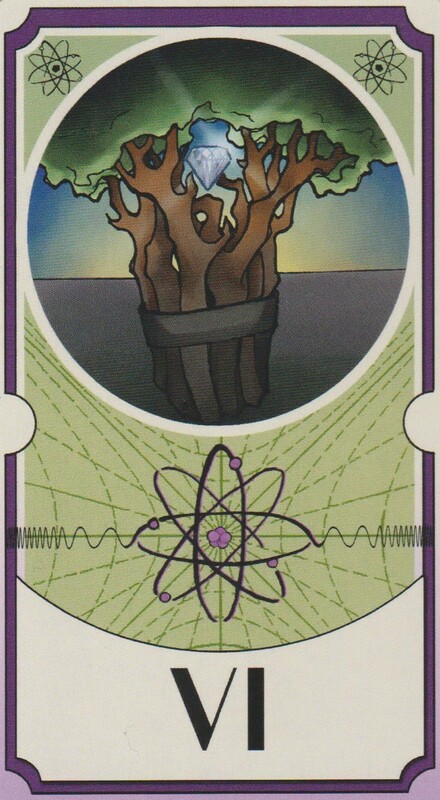 Where as the King of Swords represented the solar and lunar energy coming into play with the eclipse, the Page refers to the outcome of this unity. If you want to get pregnant, now is as good of any as a time to try and if you’re not looking to get pregnant, you may want to play it safe for now. This is a time with creative potential so following your impulses and put your energy into things that serve your happiness and therefore serve the higher good. Mars square Neptune at 3:21 AM PST reminds you not to get discouraged if you’re not where you want to be right now. This is a low energy transit so if you’re feeling drained from the eclipse, take a time out to take it easy. Sun conjunct Mercury at 4:28 AM PST a chatty transit pushing you to have new experiences. Don’t be shy! Now is the time to shine. Moon sextile Pluto at 9:49 AM PST is a tranist that may bring mystical experiences that drag up deep feelings and emotions. This is the eclipse energy clearing. Let it come and go. Moon trine Jupiter at 2:13 PM PST is a transit that will help you see the potential in everything around you. It’s your brand new day in a brand new world. Mercury enters Pisces where he will stay until 3/6/18. While the Mercury is in Pisces, it’s best to turn to creative outlets when the world begins to look a little grey because this is a moody season. Make sure to make plenty of time for self care and the rest will follow. The number of the day is 3, a number of the trinity. Mantra: We are the children of inspiration. You win a prize! What blessings did this eclipse season bring? Sun enters Pisces at 9:18 AM PST where He will stay until 3/20/18. When the Sun is in Pieces, learn to swim. Even those who may not be psychically inclined may find themselves knowing things without anyone telling them. If you have someone you’re close to, you may even have a strange way of knowing what they’re thinking, especially if you miss them dearly. 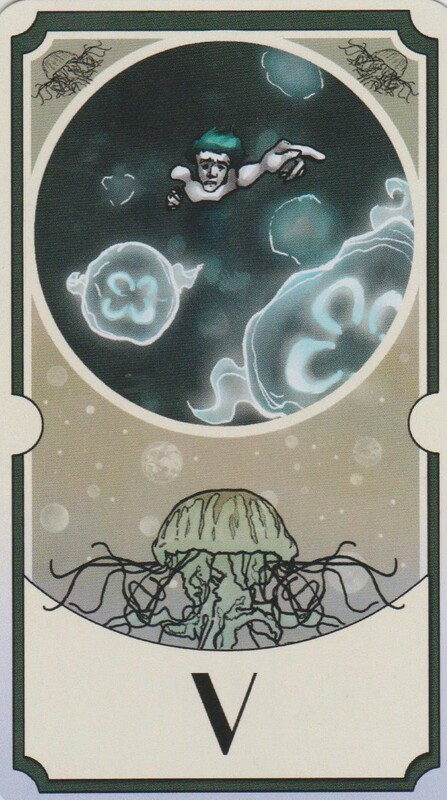 This is an easy time to build psychic ability and anyone can do it if they are open to the possibility. This is also true because of all the Pisces energy that followed the solar eclipse in Aquarius. On the same day, the Moon followed Venus into Pisces. Mercury joined them yesterday and now the gang is all here with the arrival of the Sun. This will be a time where illumination is possible. Moon square Saturn at 4:15 PM PST will bring you the soundness of mind to know if you desire the knowledge being offered to you or not. Mantra: Everything in its right place. This entry was posted in art, Astrology, Atomic Tarot, mysticism, mythology, numerology, occult, spirituality, Tarot and tagged abundance, art, astrology, card a day, divination, dreams, empowerment, inspirational, love, magick, manifestation, mantra, meditation, metaphysical, motivational, mysticism, numerology, occult, pagan, partial solar eclipse, partial solar eclipse in Aquarius 2018, predictions, psychic, self empowerment, self help, solar eclipse, spiritual, spirituality, tarot, tarot reading, tarot weekly forecast, wicca, witchcraft, witchy, writing. Bookmark the permalink.